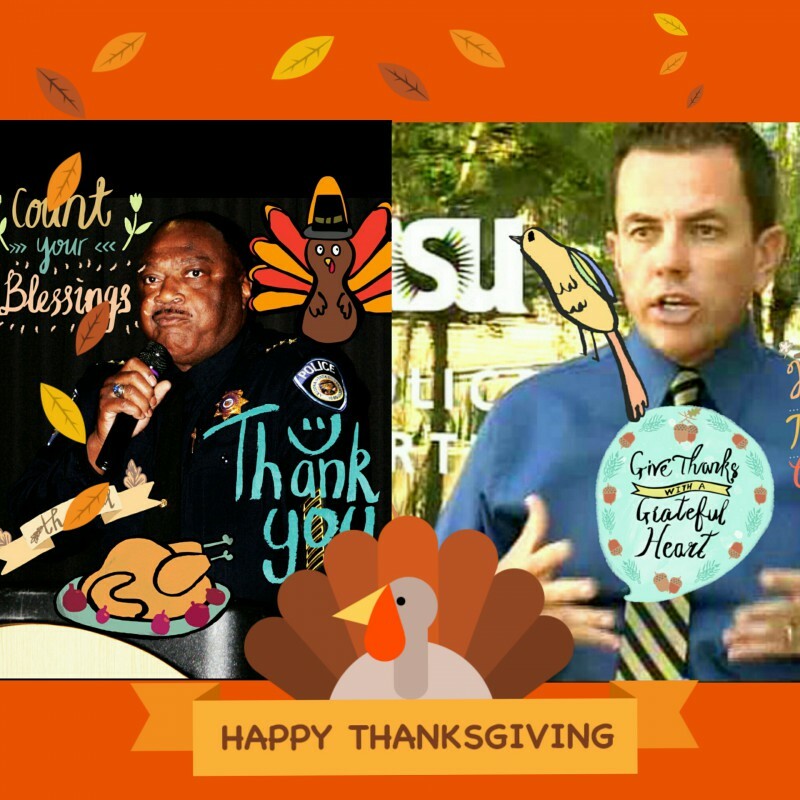 Happy Thanksgiving to everyone helping to make positive changes in policing for the ASU community! ASU Police Lost Two of the Biggest “Turkeys” in 2014 due to your efforts. Happy Thanksgiving to everyone who contributed to positive change after 14 years of __________! A very Happy Thanksgiving to everyone who contributed to the pursuit of truth, demanded straight answers from public officials reluctant to give them, and who uncovered what a wayward government entity would rather hide despite the laws of transparency. 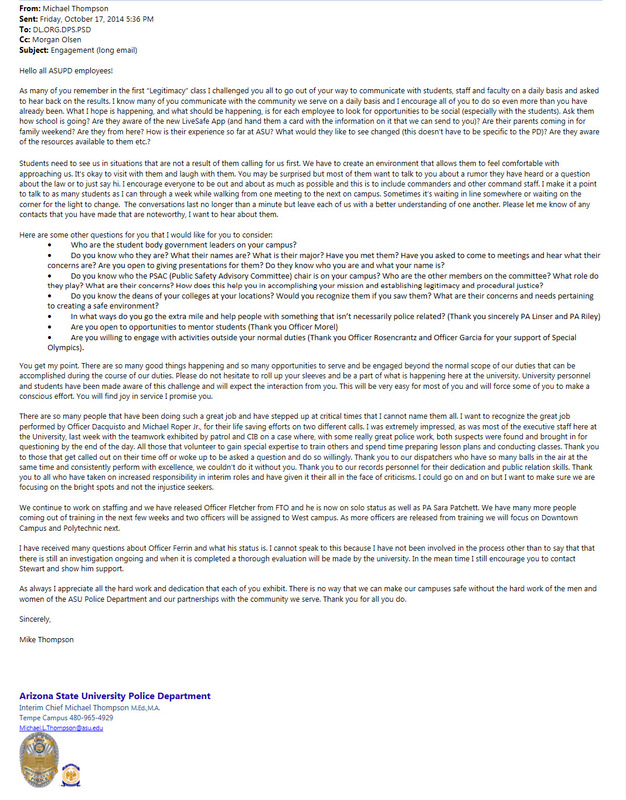 The working employees of ASU Police and the public owe you a debt of gratitude. Thank you, Anne Ryman, Rob O’Dell, Stuart Warner, Emilie Eaton, D.S. Woodfill, Jim Romenesko, and Sundevilsagainstsexualassault. 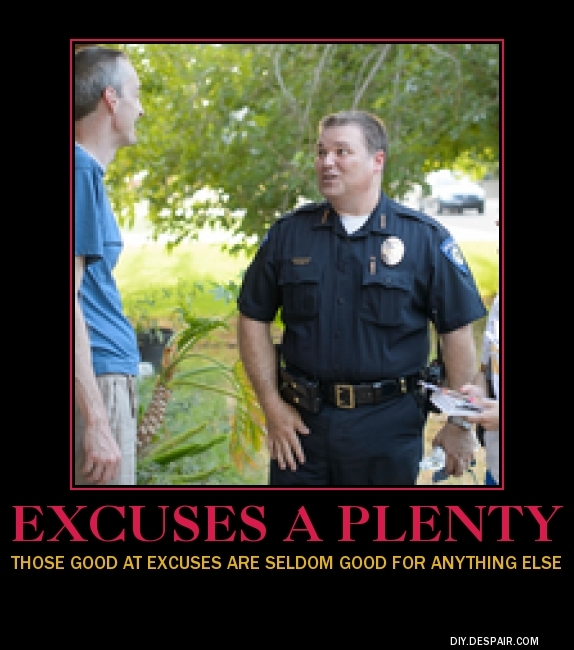 Your efforts have sped up the process of change towards accountability in public safety at ASUPD. We also thank the employees of ASUPD who realized that change can only come from the outside and had the courage and intelligence to pursue it and contact the media, post on the Integrity Report, despite the bullies, internal threats, and paper tigers of intimidation. 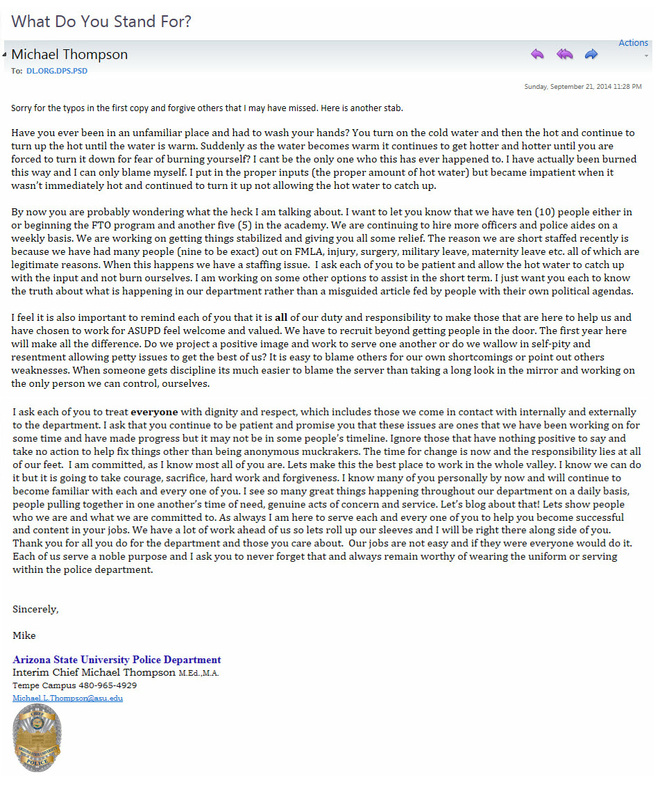 The year 2014 has been productive, but we are nowhere near where we need to be within the Arizona State University Police Department so the fight continues, the exposure will continue, and we will double our efforts. Stand by! Translation? We are going to continue to ignore the REAL reasons why our department has lost legitimacy with its employees/the public and move forward with our “warm fuzzy” PR campaign. 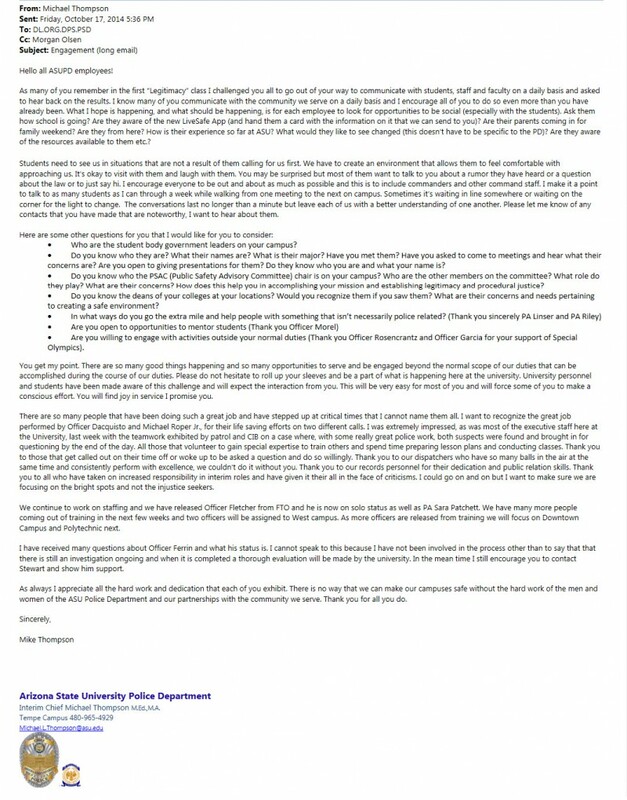 The public wasn’t too happy with ASU’s “in your face” approach from the recent “Safe and Sober” campaign, why would this endeavor be any different? Editorial: What do we stand for? Integrity, accountability, and competency at ASUPD. Your highly emotional and generic email response to the solid facts presented by the Arizona Republic article is proof that you are not a leader; you more than likely wrote this to appease your bosses who are probably starting to figure out you’re not the man for the job. The troops know you’re just another reactionary Pickens-styled politician who is scared and doesn’t know what to do. New officers have heard and seen many so examples of officers who have been burned by the department’s management for any number of reasons, with the main reason as not being a member of “the clique”. No matter how bad you screw up, no matter how bad you treat others, you have someone to support you. Yet, you refuse to address the clique’s existence or their inability to be held accountable for anything, instead throwing out a broad statement about how we need to treat everyone with “dignity and respect”. Most all of us treat each other with respect, but there are a handful of people who can’t seem to understand that concept, which in turn destroys the morale of the department. If you weren’t addressing the department clique with your warm and fuzzy statements, then this is your attempt to explain away what has taken place under both your and Pickens’ watch. Your words are meaningless to us all without any sort of follow up action. The current command staff pride themselves on a negative management style of inbred cronyism. This cronyism may work at a backwoods sheriff department in a town with a population of 10, but it doesn’t work in a large, ever-expanding city like Tempe. Values such as integrity, accountability, and competency in management are required in a department like ASUPD in order for officers to stay engaged here. How many of the dozens of officers hired under Pickens still remain at ASUPD? Maybe a handful? Thompson, you are getting paid a lot of money to sit at a desk, have meetings, and do a lot of excuse making for the state of affairs at ASUPD. We had 14 years of that. For years we have been waiting for someone that gets results. For years we have been waiting for staffing, adequate training, and more equipment; but more importantly, our leadership deficit has been the most critical issue of this department. Thompson, you ended the email with, “each of us serve a noble purpose and I ask you to never forget that and always remain worthy of wearing the uniform or serving within the police department.” As our leader, we the troops are waiting for you to serve a noble purpose, and to remain worthy of wearing the uniform or serving within the police department. So far we haven’t seen it. 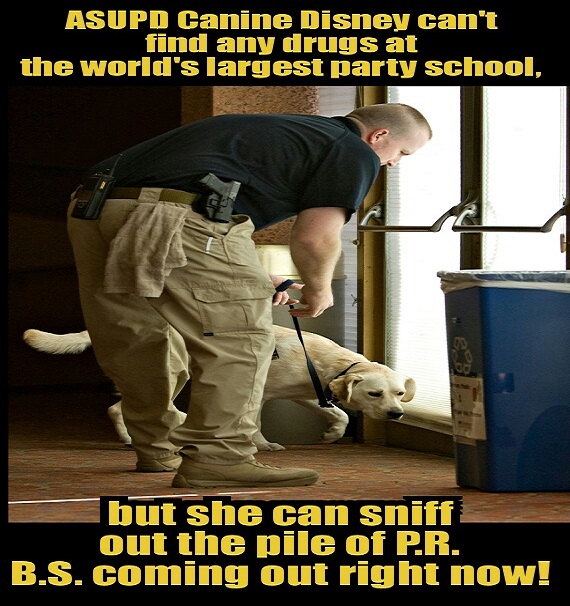 “The Bully at Work”; how many of these apply to all you current/former ASUPD employees? “The Bully at Work” is a pretty informative book by Dr’s Gary and Ruth Namie. In it, they discuss what workplace bullying is, why it occurs, why bullies pick their targets, and how to deal with bullies at work. Bullying at work is repeated, health-harming mistreatment of a person by one or more workers that takes the form of verbal abuse; conduct or behaviors that are threatening, intimidating, or humiliating; sabotage that prevents the work from getting done; or some combination of the three. Perpetrators are bullies; those on the receiving end are Targets. It is psychological violence – sublethal and nonphysical – a mix of verbal and strategic assaults to prevent the Target from performing work well. The bully puts her or his personal agenda of controlling another human being above the needs of the employing organization. In 62 percent of cases, when employers are made aware of bullying, they escalate the problem for the Target or simply do nothing. Bullies can be categorized, but individuals who choose to bully can adopt any tactic at any time to accomplish their goal. [One of these is] The Constant Critic. Most bullies work to make themselves well-connected to senior management, executives, or owners. While Targets focus on prideful work, bullies are busy kissing up to the big bosses. They have allies – we call them executive sponsors – willing to block punishment for malicious behavior if they are ever exposed. The big bosses think the bullies can do no wrong. Targets have a hard time being believed for this reason.